The U.S. Navy Blue Angels fly over a crowd of spectators during Luke Days at Luke Air Force Base, March 17, 2018. Luke Days demonstrates the Air Force's continuing progress in building the future of airpower with military and civilian air acts including the U.S. Navy Blue Angels, F-35 and F-22 static displays, science, technology, engineering, and math exhibits, and military operations demonstrations. A U.S. Air Force A-10 Thunderbolt demonstrates close air support during Luke Days at Luke Air Force Base, Ariz., March 17, 2018. Luke Days demonstrates the capabilities of modern military and civilian airpower through the display of more than 30 live air and ground demonstrations and static exhibits. 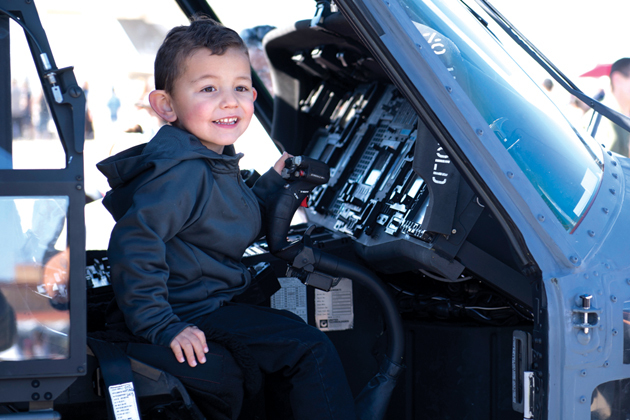 A young boy smiles from the pilot’s seat in a static display of the HH-60G Pave Hawk helicopter during Luke Days at Luke Air Force Base, March 17, 2018. Luke Days provides an opportunity for Phoenix-area residents and visitors from around the world to see how Luke builds the future of airpower at an installation that has been a proud part of Arizona history and a neighbor in the West Valley since 1941. 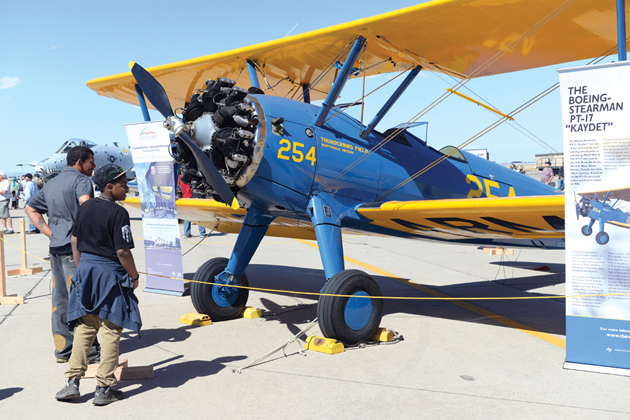 The show included more than two dozen live air and ground demonstrations, static aircraft exhibits, and concessions. A child points into the sky as U.S. Navy Blue Angels fly by during Luke Days at Luke Air Force Base, March 17, 2018. 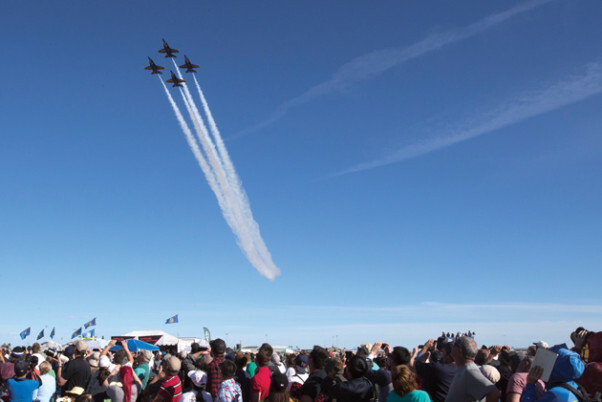 Thousands of visitors from around the world were treated to a spectacle of airpower at Luke Days 2018, where they had the opportunity to witness more than 30 aerial and ground acts and static displays ranging from the U.S. Navy Blue Angels to an airfield ground raid demonstration by Air Force Special Operations and battlefield Airmen. 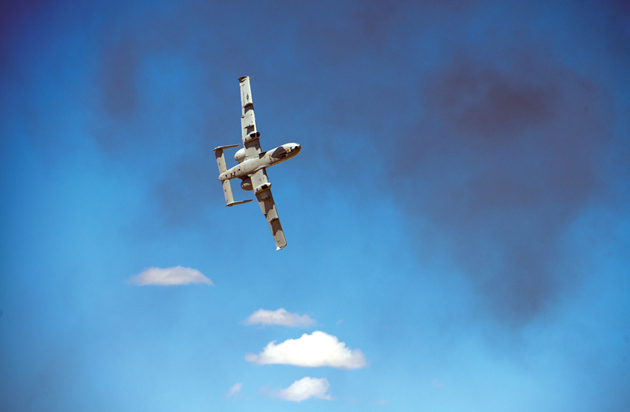 An A-10 Thunderbolt II performs aerial demonstrations during Luke Days. Thousands of visitors from around the world were treated to a spectacle of airpower at Luke Days 2018, where they had the opportunity to witness more than 30 aerial and ground acts and static displays ranging from the U.S. Navy Blue Angels to an airfield ground raid demonstration by Air Force Special Operations and battlefield Airmen. 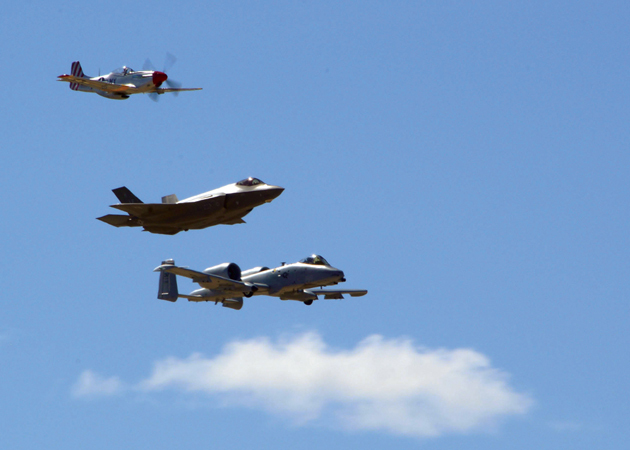 The Heritage Flight, comprising of the P-51 Mustang, F-35 Lightning II and A-10 Thunderbolt, performs a flyby during Luke Days at Luke Air Force Base, Ariz., March 17, 2018. 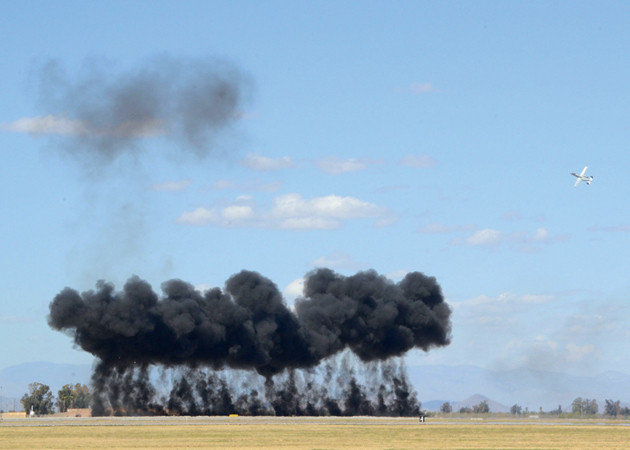 Luke Days demonstrates the capabilities of modern military and civilian airpower through the display of more than 30 live air and ground demonstrations and static exhibits. 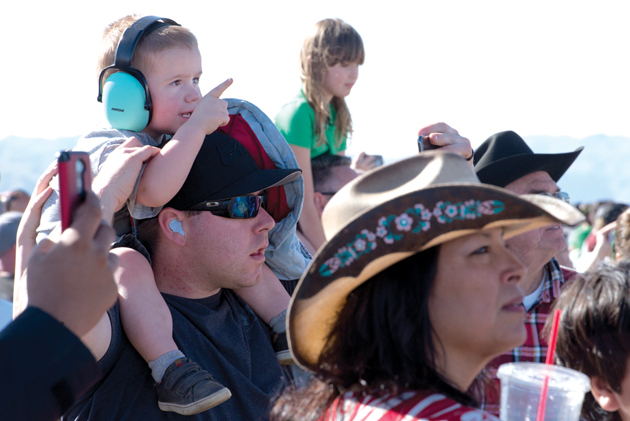 Spectators admire the Stearman Model 75 during Luke Days March 17, 2018, at Luke Air Force Base, Ariz. Thousands of visitors from around the world were treated to a spectacle of airpower at Luke Days 2018, where they had the opportunity to witness more than 30 aerial and ground acts and static displays ranging from the U.S. Navy Blue Angels to an airfield ground raid demonstration by Air Force Special Operations and battlefield Airmen.